The Impact Lite Trek 4.0, B&H's version of the CononMark DL 4.0 battery-powered IGBT monolight, has dropped in price to $549.95 - cheaper than in Hong Kong! The Impact Lite Trek 4.0, B&H’s version of the CononMark DL 4.0 (available around the world under various aliases), has dropped significantly in price to $549.95. That’s a reduction of nearly half the original release price of $999. 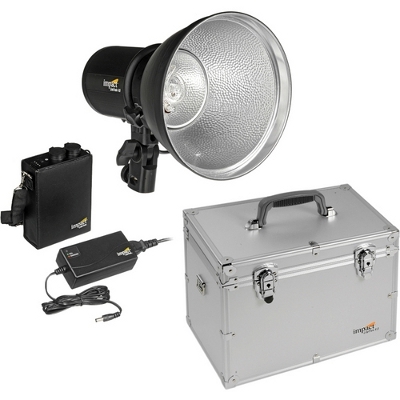 Now this US-distributed battery-powered monolight is almost as cheap as the original CononMk version from China, and actually costs less than ordering the otherwise identical Phottix PPL-400 from Hong Kong! After the offer ends on 15th February, the Lite Trek price will climb back up to $799.95. Click here for further details.